The C-Tec ECU-8 is an 8 Line master controller panel for the C-Tec SigTel Disabled Refuge System. 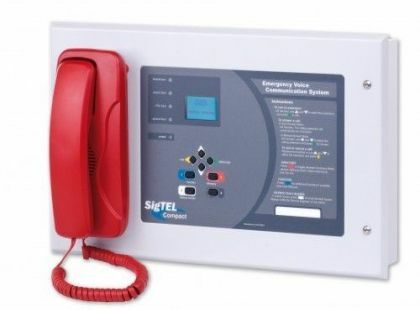 This panel comes supplied with a handset to allow communications to the outstations on the system. The C-Tec ECU-8 is also available in a version without a handset. This panel requires 2 x 7Ah 12V Sealed lead Acid Batteries. If you’re interested in the C-Tec ECU-8 unit you may also be interested in our disabled refuge system and wireless fire alarm ranges.